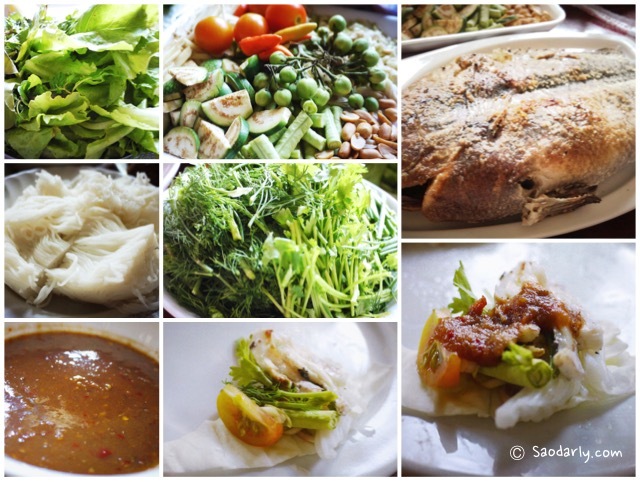 Phan Pa Nin or Tilapia Fish Wraps for lunch in Vientiane, Laos. I went to Kok Pho Market with my aunt to buy a few dishes to take home for lunch. We ordered two sets of Phan Pa, Tam Maak Hoong (Lao Green Papaya Salad), Tam Maak Kuay (Lao Green Banana Salad) and a some desserts. It was a nice lunch to share with the relatives. After our meal, it was time to watch some television and nap time.